Congratulations to the Good Smile Racing BMW Team for winning the 2013 Super GT GT300 Championship! With their Hatsune Miku itasha BMW Z4 race car and drivers Nobuteru Taniguchi, Tatsuya Kataoka, and Jörg Müller, the team fought hard all season long and captured their second GT300 class championship since 2011. 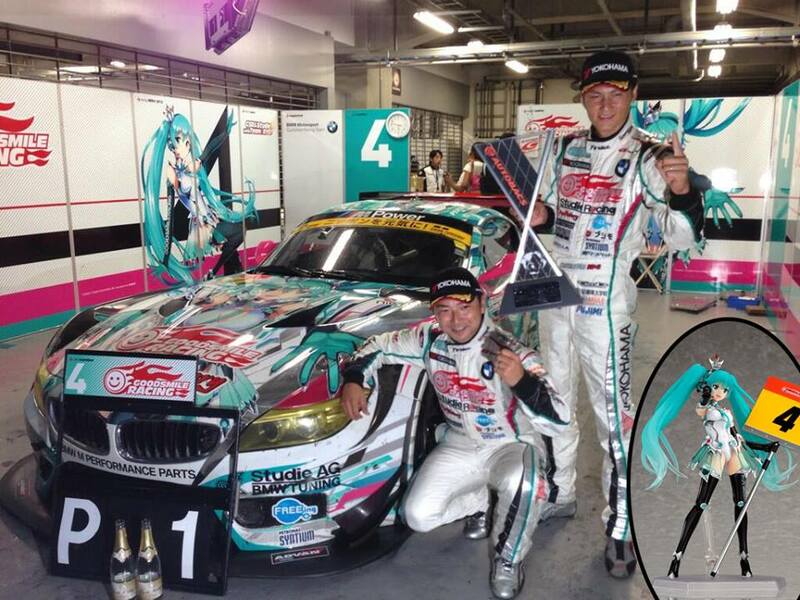 You can still be a part of the action by purchasing a sponsorship package that includes a Hatsune Miku umbrella girl figma figure at the official Good Smile Racing Personal Sponsors site here until September 11th. Tagged figma, Good Smile Company, Good Smile Racing, hatsune miku.